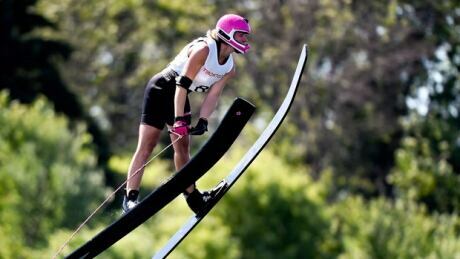 Canadian water skier Whitney McClintock won her second gold medal at the Pan Am Games on Thursday. 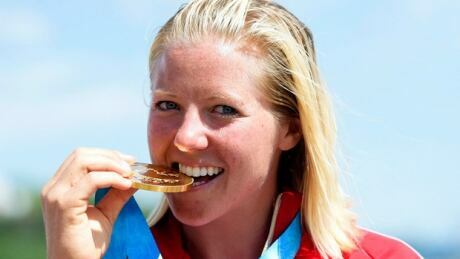 Canada's Whitney McClintock won gold in women's waterskiing at the Pan Am Games on Wednesday. Whitney McClintock finished first in slalom qualifying while brother Jason moved on with a fourth-place finish in men's slalom. Both also advanced on the tricks side, as did veteran Jaret Llewellyn. 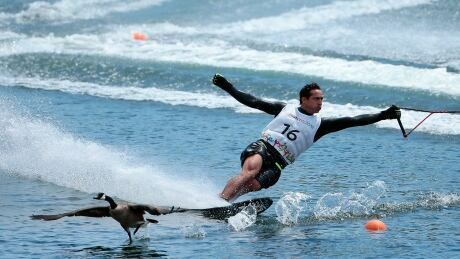 During the preliminary rounds of waterskiing on Monday, the athletes had to deal with a few extra spectators that got a little too close to the action. A flock of geese took up residence on near the course, but eventually got in way of some of the riders. 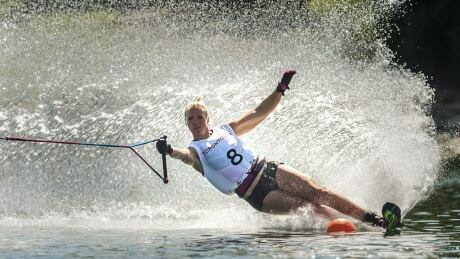 Whitney and Jason McClintock will lead a five-athlete team into next month’s Pan Am Games, Water Ski and Wakeboard Canada announced Wednesday. 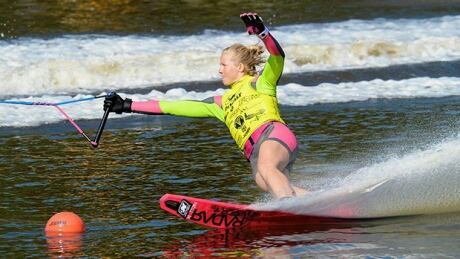 You are currently browsing the archives for the Sports/PanAm (Actual)/Waterski category.